Social and mobile incubator YouWeb, who has helped create OpenFeint, CrowdStar, iSwifter and Sibblingz, is announcing its latest venture—mobile ‘edutainment’ startup Pluto Plays Music. Pluto Plays Music is an educational game and iPad app that combines scrolling gameplay dynamics with musical notes to get the kiddies interested in learning music. The game follows the main character, Pluto, a penguin on a quest to master a variety of songs on different instruments. Children can learn basic songs like Twinkle, Twinkle Little Star as well as more classical pieces like The Magic Flute by Mozart, Ode to Joy by Beethoven, Swan Lake by Tchaikovsky. While Pluto Plays Music is free to download and play, users can purchase virtual goods via the game’s in-game currency, pearls. Using pearls, players can unlock new levels and instruments including the piano, xylophone, and guitar. Players can also earn pearls to use toward purchases by completing simple tasks like opening the app daily and performing songs. 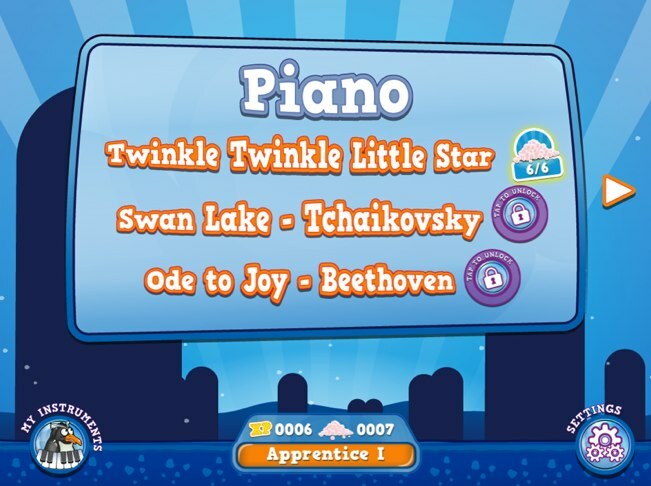 The game also ranks players by their level of apprenticeship, depending on how effectively they complete and learn the songs in the game. The game itself is using sister company OpenFeint’s plug and play social gaming platform to allows players to compare their scores and ranking with other players around the world. YouWeb founder Peter Relan tells us that he picked this particular company to incubate because of the tremendous potential of edutainment games for children on tablet devices. Last month, YouWeb celebrated the first exit with the acquisition of OpenFeint by Japanese gaming company, GREE, for $104 million.